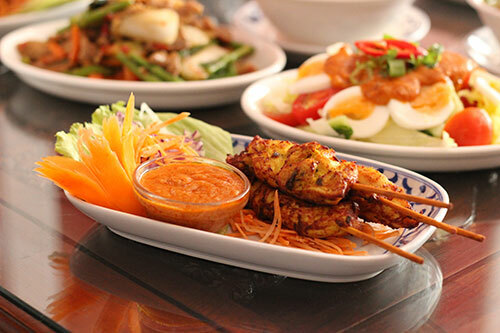 Salathai is a family run authentic Thai Restaurant in Bath. Call 01225 484663 for reservations. We are pleased to have this opportunity to welcome you to Salathai Restaurant. 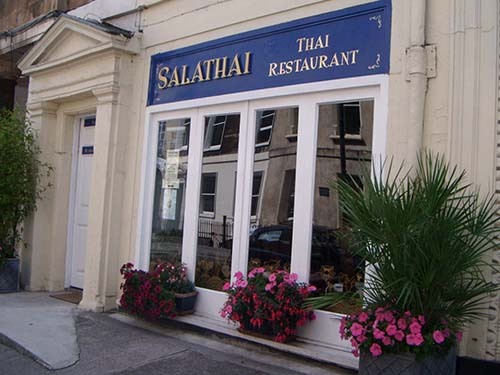 Salathai is a family run Thai Restaurant in Bath and has been opened since November 2003. Thai food has a reputation like, Thai weather, for being fiercely hot, but in reality we have an equal number of spicy and plain dishes. 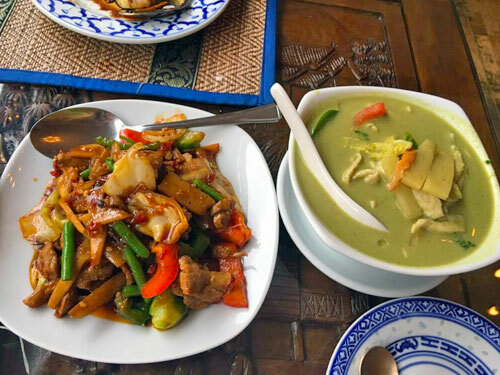 A typical Thai meal normally consists of a couple of meat dishes together with a vegetable dish and some rice or noodles, which are shared amongst everybody. We offer freshly cooked lunch, early dinner and dinner plus amazing homemade desserts. Booking is recommended, although walk-ins are welcome, our restaurant is excellent for groups or parties with table service. 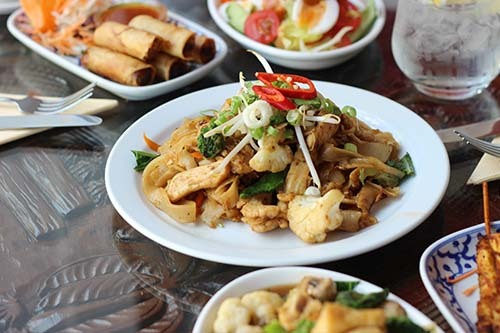 Salathai accepts cash and all major credit/debit cards. No additional charge is made for service; gratuities are left to your discretion. 10% service charge will be added to a party of 5 or more. 10% discount on orders of £10 or more on takeaways.